This week has been particularly busy, with reports that suggest new iPad will have the iPhone 5s's Touch ID sensor and an 8MP camera, and also reports that the iPad mini won't get a Retina display this year. Read on to find out more. A video posted to YouTube on Wednesday shows parts that allegedly belong to the fifth-generation iPad. The parts look similar to previous iPad 5 leaks, with thinner bezels that lead to the conclusion that the iPad 5 will take design cues from the iPad mini. However, it's also been spotted that the space for the iPad 5's Home button could house a Touch ID sensor like the one found in Apple's new iPhone 5s. The video, from Unbox Therapy, shows the front panel of what appears to be the next-generation iPad, and highlights hat the cut out left is not big enough for the current iPad's Home button to fit through, but is a perfect fit for the Touch ID fingerprint sensor. It makes sense that Apple would want to introduce the technology to its iPad models too, as it has received largely positive feedback since it was shown off at the launch of the iPhone 5s on 10 September. Also on Wednesday, trusted KGI Securities analyst Ming-Chi Kuo said in a report that the iPad 5 and iPad mini 2, which he expects will arrive this quarter, will have new and improved 8MP cameras. The current iPad and iPad mini have 5MP cameras, so the 8MP upgrade would be a significant improvement for the tablets. According to Apple Insider, the sensors in the new cameras could be supplied by Sony. One of the biggest questions about the iPad mini 2 right now is whether or not it will sport a Retina display. 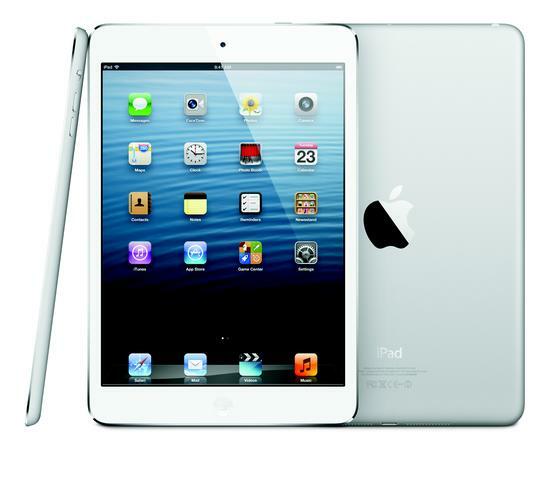 Reuters cites sources from Apple's supply chain who say that the Retina iPad mini won't arrive until next year. According to the report, Apple's supply chain is only just beginning to prepare to manufacture the Retina display for the iPad mini, which means the company won't be able to produce enough Retina iPad mini models for a launch of the device before Christmas. Many potential iPad mini buyers are keeping their fingers crossed that this rumour is unfounded, though, as a Retina display for the smaller tablet is top of the wishlist of new features.